The real estate group plans to build the platform, We R Crowdfunding, with assets it's acquiring from Trupoly. Is this a savvy move for RCAP? 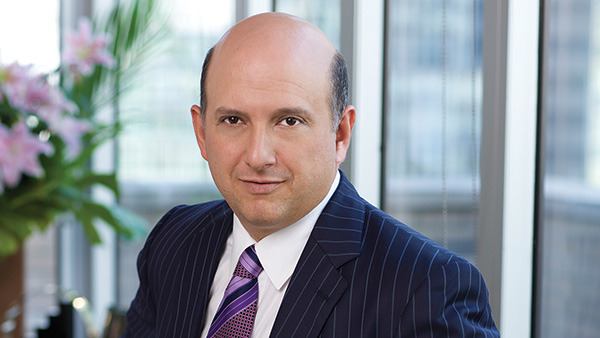 Nicholas Schorsch, executive chairman of RCAP. RCS Capital (RCAP) said Monday that it was setting up a crowdfunding investment platform with the assets — and management — it is acquiring from Trupoly, an investor relations portal. RCS, led by Executive Chairman Nicolaus Schorsch and known for nontraded REITs and other products, plans to launch the new alternative investment program — We R Crowdfunding — in September. Is this a savvy move for RCAP? Crowdsourced investing got off the ground as part of the 2012 Jumpstart Our Business Startups (JOBS) Act, which gave the SEC the ability to relax rules prohibiting the general solicitation of investments. According to RCAP, a 2013 World Bank study estimated that crowdfunding investments could become a $300 billion annual market in the U.S. over the next decade. “We expect We R Crowdfunding to provide investors [with] direct access to public and private offerings, including Regulation A and Regulation D offerings, mutual funds and closed-end fund offerings, in a variety of industries and sectors,” said RCAP President Michael Weil, in a press release. As part of the deal, Trupoly founder and President Ryan Smith, head of sales Charles Crnoevich and client-relationship manager Melanie Eitel will be joining RCAP. “We are pleased to be joining the RCAP team and look forward to creating the market leader in direct-to-consumer investment offerings,” said Smith, in a statement. RCAP wrapped up its purchase of the alternative-fund group Hatteras Funds (which has some $2.7 billion in assets under management) on July 1 and its acquisition of Investor’s Capital (which includes about 450 independent advisors) on July 11. In mid-May, RCS Capital said it planned to buy Validus Strategic Capital Partners, which owns SC Distributors, an alternative investment group, and Strategic Capital Advisory Services, a provider of advisory and operational services to non-exchange traded alternative investment products. Interest in other types of alternative investments continues to grow. A recent survey conducted by Morningstar and Barron’s says that investors and institutions have some $300 billion invested in alternative mutual funds as of May. The level of assets in alternative exchange-traded funds is under $120 billion. “Mutual funds continue to grow as the vehicle of choice for accessing alternative strategies. 2013 marked the strongest asset flows into alternative funds and the largest number of fund launches on record,” Josh Charlson, director of manager research, alternative strategies, at Morningstar said in a statement. The report found that 20% of institutions and 24% of advisors had alternative allocations of between 6% and 10% of a typical portfolio in 2013. Most institutional respondents said they had an allocation over 25%, although the percentage has fallen from 34% in 2010 to 28% in 2013. By comparison, just 9% of advisors had such a large allocation to alternatives in 2013, down from 11% in 2011. The percentage of advisors with an 11%-15% allocation has steadily increased from 20% in 2011 to 23% last year. Thirty-one percent of institutions reported that they would increase their allocation to over 25% in the next five years. Almost half of advisors anticipated growth of between only 1% and 10% during the same period. For both institutions and advisors, fees were the top reason for hesitating to invest in alternatives, although institutions were equally split between fees and lack of liquidity (40%). Half of advisors said fees were the main reason they didn’t invest in alternatives. Check out SEC Investor Advisory Committee Mulls ‘Accredited Investor’ Criteria on ThinkAdvisor.